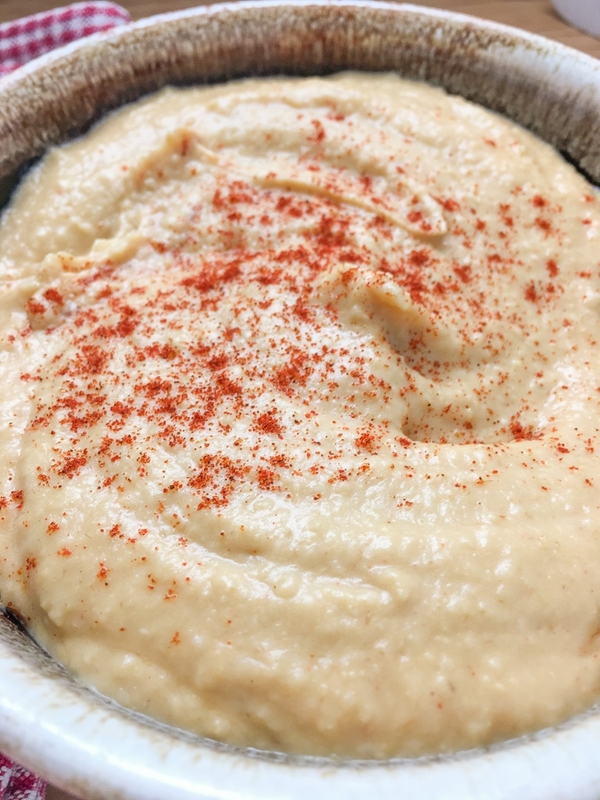 I am excited to share a homemade hummus recipe and the novel High Cotton, by Debby Mayne. She is one of my favorite authors and friends! Debby has written over 60 novels and novellas! 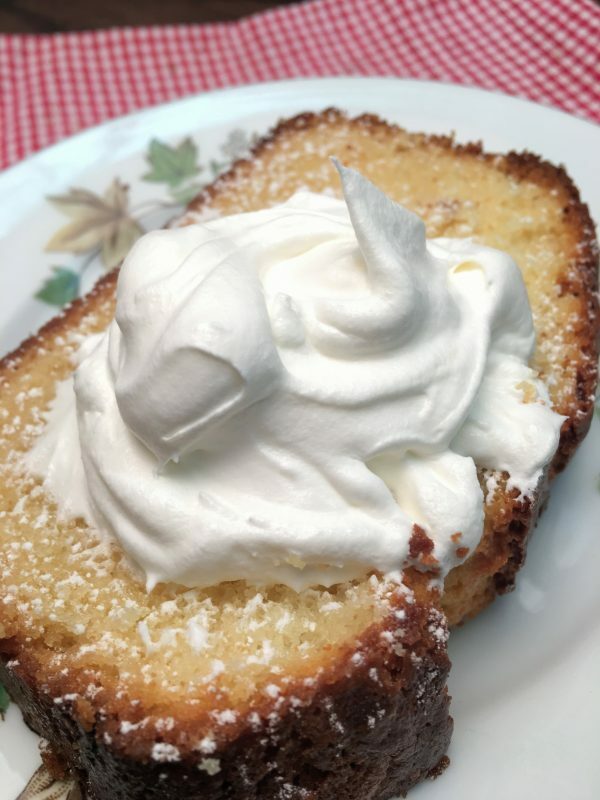 She writes family, faith-based, and southern fiction (with a lot of food in the stories–wink, wink). Southerners love to eat. A lot. When someone dies, we take them food. When someone has a baby, we cover them up with meals. 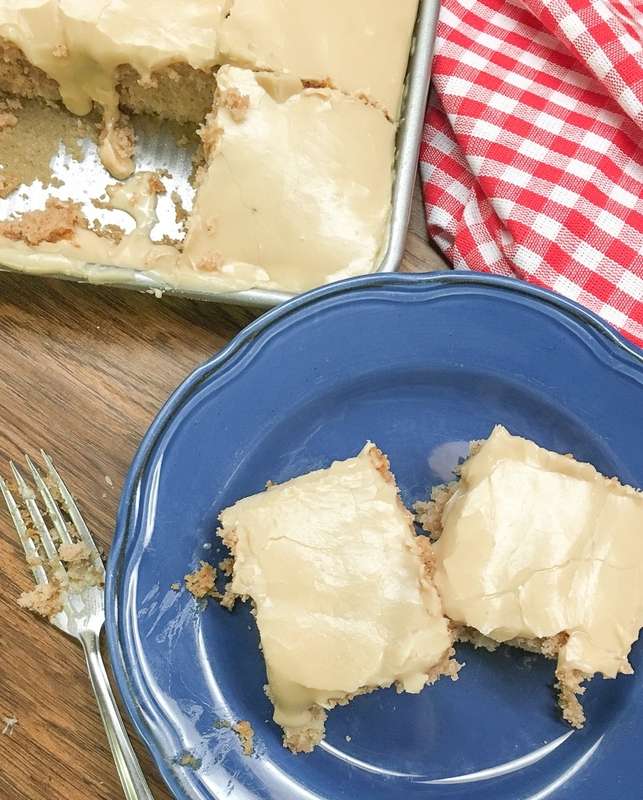 When we have a church potluck or family reunion, we’re whippin’ up meals so fast, all southern mamas would be proud. One of my favorite southerners is Debby Mayne. We’ve been besties for years. We chat pretty much every day and spend a lot of time laughing. She is a Mississippi girl and a southerner through and through. And, y’all are gonna love her newest book, High Cotton. There’s a lot of food and fun within the pages. Scroll down just a little to read all about High Cotton’s Shay Henke and her upcoming Bucklin Family Reunion. Shay Henke has mixed feelings about going to her family’s next reunion. On the one hand, she’ll get to see everyone in her mama’s family–folks she loves unconditionally. On the other hand, she knows there’ll be more drama than you can shake a stick at. The days leading up to the event bring one surprise after another. First Shay must deal with her sister-in-law’s deep, dark secret. Then she has to contend with the childish ways of her business-mogul twin cousins. And when her high school crush wants to be her date to the reunions . . . well, it may have been a dream come true for Shay’s teen self, but the woman she’s become doesn’t know what to make of this. Shay’s contentment is challenged, and she’s determined to shake things up a bit. But will she find the excitement she’s looking for, or will Shay realize she prefers her quiet predictable life? One thing is certain: Life in the Bucklin family is never boring. You can purchase a copy on Amazon at this link. (P.S. If you purchase the book, I do get a small commission from Amazon). Let me tell you a little more about the author, Debby Mayne. 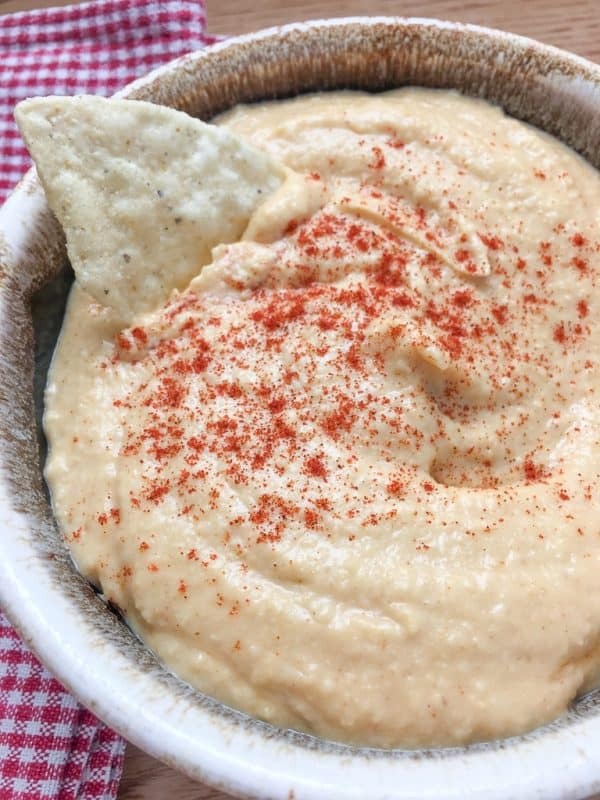 One of the characters in High Cotton whips up some hummus to bring to the family reunion and I thought it would be fun to make some here at home and share with y’all. 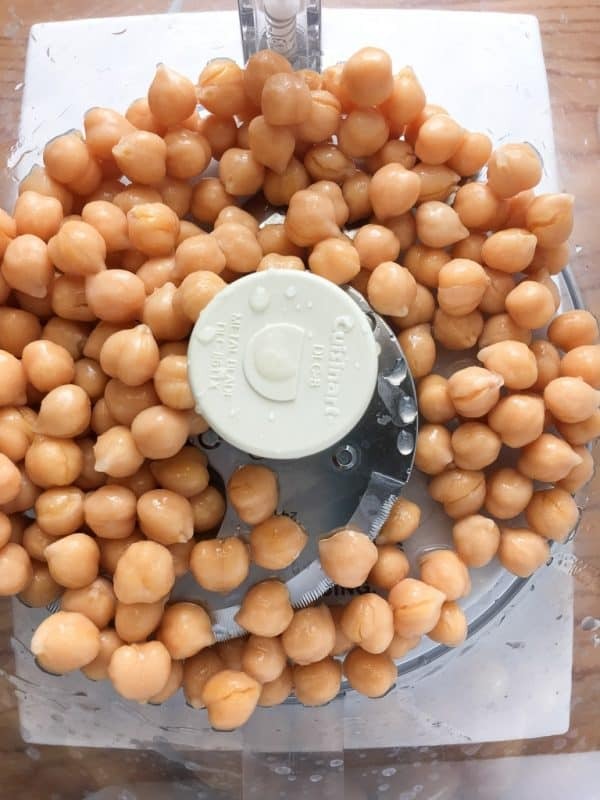 Start by draining the juice off of a can of chickpeas (garbanzo beans). 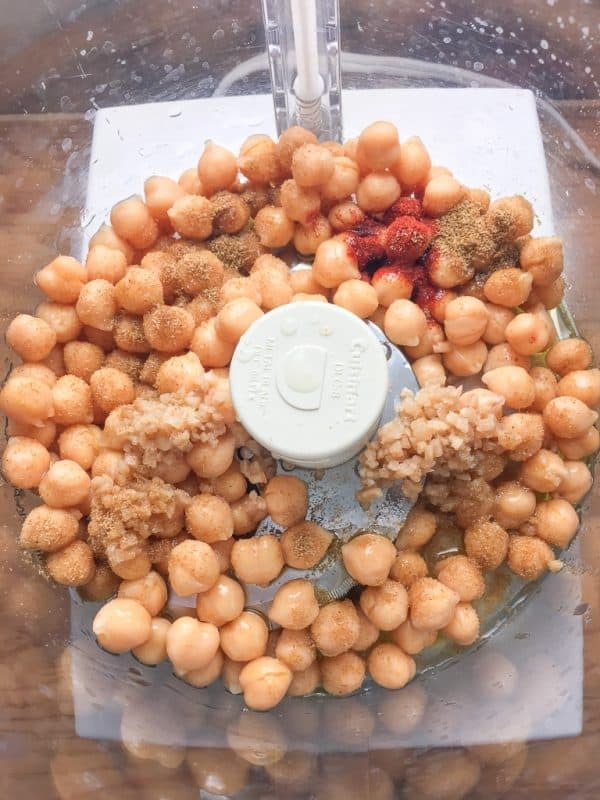 Set the juice to the side and add the chickpeas to your Cuisinart. Add the minced garlic, paprika, cumin, salt, and extra virgin olive oil. Turn the Cuisinart on and blend it well. If it’s thick, add one teaspoon of the reserved chickpea juice. Add enough until the hummus is at the desired consistency. Spoon it into a bowl and sprinkle a little bit of paprika on top. Looking for more snacks for your next family reunion? Easy Holiday Bacon Ranch and Walnut Cheeseball is a great appetizer to take to any party. Five Hot Dog Recipes for Parties works great for a crowd. The Best Homemade Potato Salad Around is a great side dish for holidays, picnics, and family reunions! Add the chickpeas beans to the Cuisinart. Add the garlic, paprika, cumin, salt, and extra virgin olive oil and process. 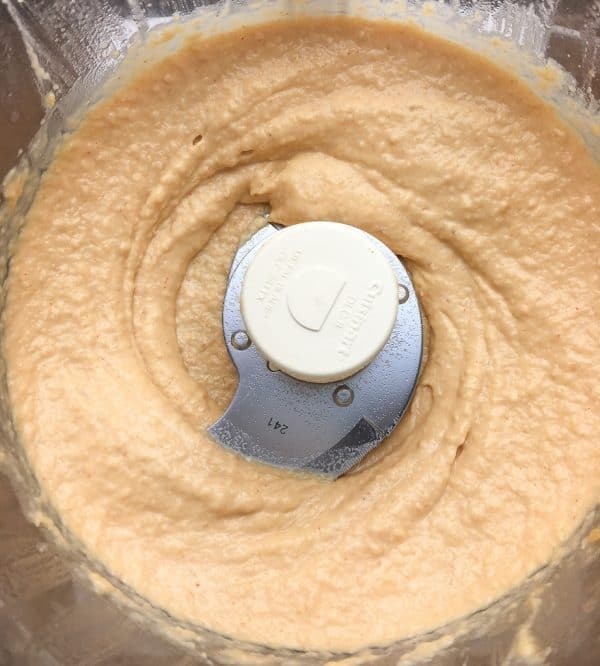 Add juice from beans if hummus is too thick. 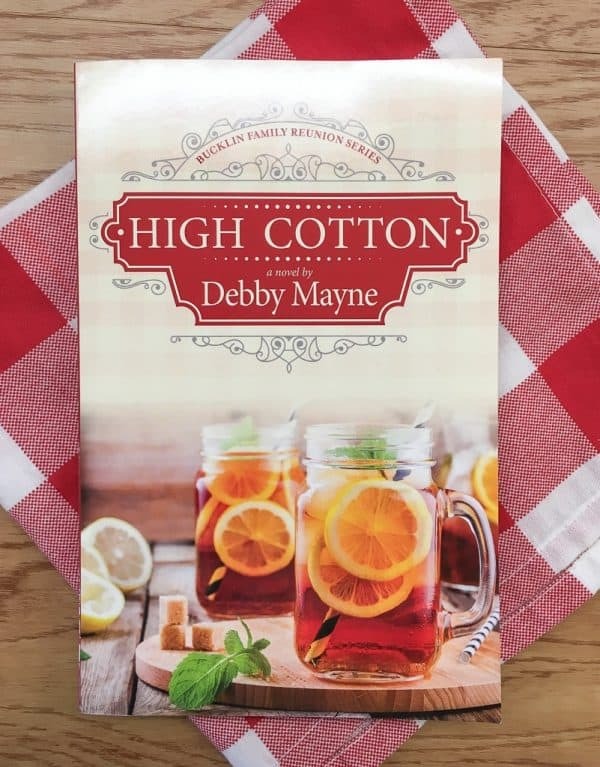 Be sure to head on over and check out Debby’s book, High Cotton. Y’all are gonna love it! What a fun book! Sound so like one I totally need to read! Thank you for sharing about it! You will love it! Thanks for stopping by to visit. 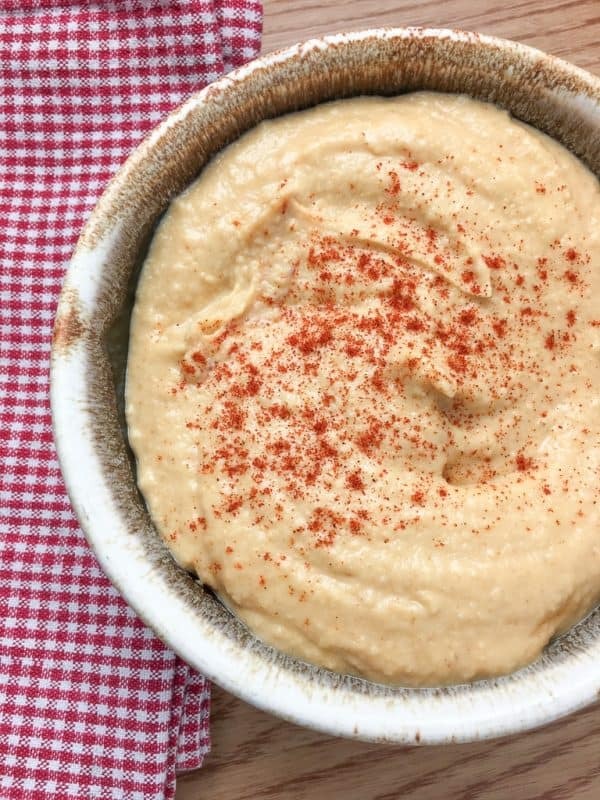 I love hummus but have never made it homemade! Pinning so I can make this later!! It was super easy and quick!